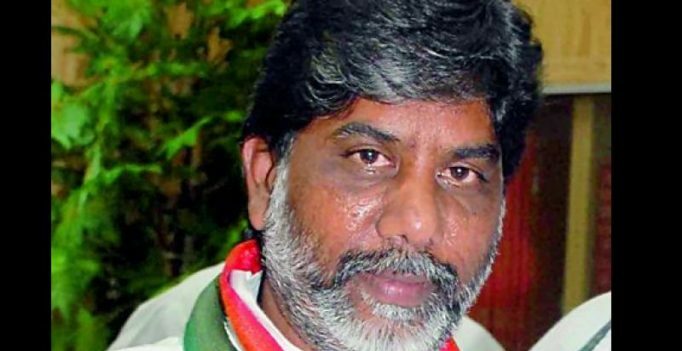 Hyderabad: TPCC working president Mallu Bhatti Vikramarka on Tuesday said here that Congress high command may announce the party’s Chief Ministerial candidate well in advance of the 2019 general elections. Mr Vikramarka is among the several Chief Minister aspirants in the Congress, who enjoys good rapport with AICC SC Cell chairman and former IAS officer Koppula Raju, besides a few of the Congress Working Committee members. Speaking to newsmen in the Assembly on Tuesday, Mr Vikramarka said he has been playing his role in the Congress most effectively and he did not believe there were attempts to weaken his position. Referring to the recently concluded polls to Assemblies of five states, Mr Vikramarka said in all the five state, people voted for new governments and the same thing will happen in TS too. He said Telanganaites have started expressing displeasure over the functioning of the TRS government which will soon turn into a mass upsurge against the ruling party by the next elections. Replying to a question, Mr Vikramarka said that the Congress does not consider TJAC chairman M. Kodandaram as a politician and it was for him to decide whether to float a party or not.